“Under President Trump, the federal government has continued to wage a campaign that stands opposed to basic human rights and dignity. In repealing the Deferred Action for Childhood Arrivals (DACA) program, President Trump again seeks to sow division and inflict harm. This attack is the latest in a well-established pattern of actions that betray values of fairness, justice, and equality — actions that have included the effort to repeal the Affordable Care Act which would have left tens of millions without healthcare, to the threat to overturn Roe v. Wade. 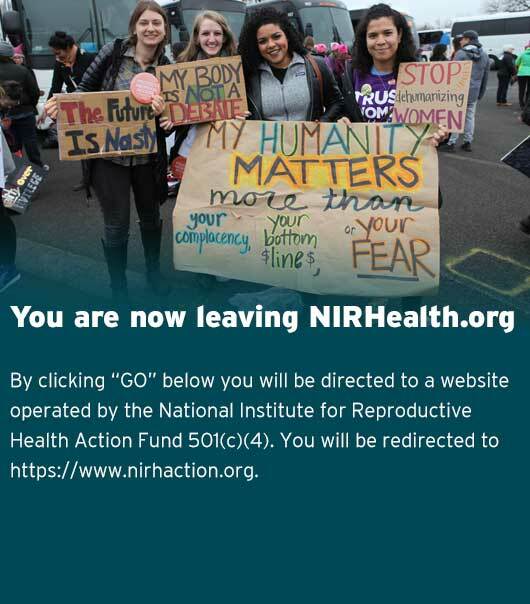 Everyday the National Institute for Reproductive Health (NIRH) works to support partners in cities and states around the country who make sure people have the support and care they need to lead healthy and stable lives. The repeal of DACA would only push immigrants and their families further into the shadows when they need to be pulled into the light.